When it comes to spending time in Marrakech, getting around can seem a little challenging, and walking all day can seem draining. Therefore, one of the best ways to get around Marrakech without holding yourself back too much is through using a bike. Bikes are excellent methods of transport through the city. As a traveller, though, it’s likely that you won’t want to spend too much on a bike in the first place. For anyone in that frame of mind, Medina Bike might be your perfect solution. Medina Bike: What’s the Catch? With this service, you get access to a very easy to use bike-sharing system. You can pick up a bike and become part of the first-ever bike sharing service utilized on African soil. • Get around Marrakech at your own leisure, enjoying the city and its rich heritage as you go without being rushed. • Go where you please in the Ochre City. No bound by the limitations of public transport and other such issues. • Set your own plans and hire a bike for yourself or you and your party, making sure you can all cycle around with the minimum of fuss. How Does Medina Bike Work? 1. Visit the Medina Bike website, or use the mobile app, and register/log-in to your account. 2. Provide your details, including a valid credit card to make sure you can sign up properly. 3. Get your bike access code delivered to you, fit in the details to your bike and then unlock the bike with your code. 4. Hop onto the bike and cycle around freely. Use the cable lock for shorter stops away from the station with the instructions provided by the company. 5. When you are done and your time is up, take the bike back to the docking station, and insert it back in. Once you hear a singular beep, the return has been verified and approved. As you can see, this bike-sharing service makes it easier than ever to get around Marrakech. Free from being stuck and lodged with a bike all the time, you can get the bike as and when you need it. Free from the irritation and struggle to trying to get around with a bike of your own, you can enjoy easier and more fluid transport as and when you need it. Sound like what you need? 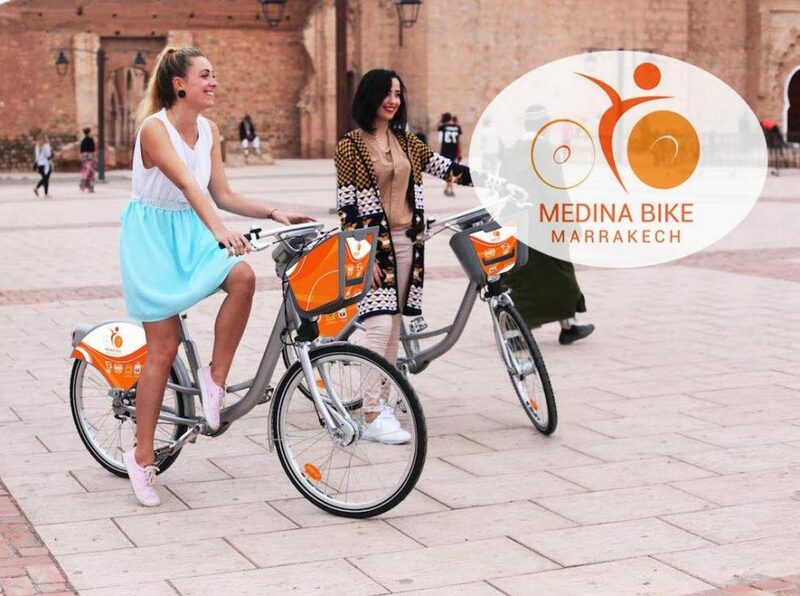 Then it might be time to contact Medina Bike the next time you go to visit Marrakech and want to get around a little quicker!